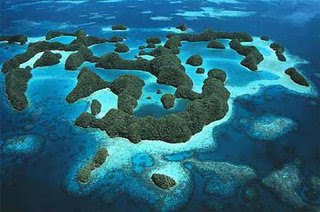 Palau is a cluster of 250 to 300 islets believed to be formed by the uprising of coral from the sea bottom due to geological upheavals. It has a total area of 47 sq km. All these islands are umbrella shaped and connected by beautiful coral bay. These islands are famous for its beautiful beaches where scuba diving and snorkeling facilities are available. Click here to read the full article. The coral barrier reef of Belize starts 300 meters off shore of Belize and stretches up to 40 km south like a mountain range; its total length is about 300 km (185 miles). 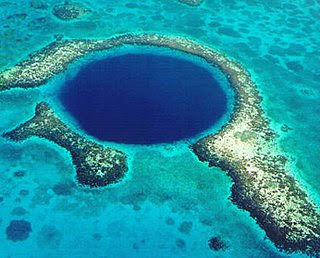 For Belize; this coral formations remain as the hub of its tourism industry in fact it is the revenue from tourism that keeps Belize economy ticking. Click here to read the full article. Galapagos Islands are an isolated cluster of 19 volcanic islands of varying sizes in the Pacific Ocean located around the equator. 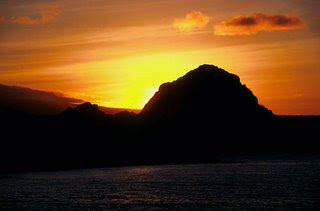 It is a territory of Ecuador and located about 600 miles off from it. Galapagos Archipelago (a scattered group of islands cut off from mainland) is well known for its bio diversity and Charles Darwin; the renowned scientist stayed there to do his researches on biological evolution. Click here to read the full article. 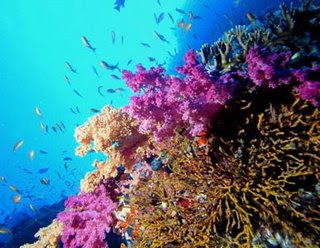 The Northern Red Sea Region has on its Northern shores Egypt, Israel Jordan and Saudi Arabia and Sudan and Eritrea in its western side; it is more famous for some of the most beautiful coral formations in the world and its exclusive fish varieties. Click here to read the full article. 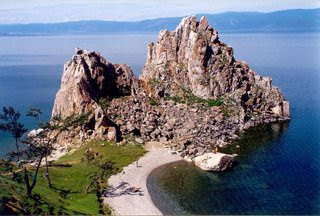 Lake Baikal is known as the Galapagos of Russia as both share a history of spending many years in isolation from external world for very long period; if it was ocean that isolated Galapagos, it was the hostile permafrost of Siberia that cut Baikal from outside world. The flora and fauna of both lands had to evolve independently being cut off from mainstream animals and plants. Click here to read the full article. The Oceania has much geographical exclusivities for its credit; but Great Barrier Reef that spans 2000 kms near Australia is the most prominent among them. 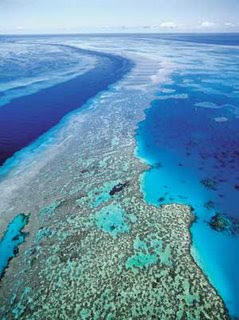 It is the largest coral reef in the world. This rare natural wonder comprises of about 900 islands and more than 3000 coral platforms all formed by millions of years of biological activity has been approved as the icon of Queen’s Land. Click here to read the full article. 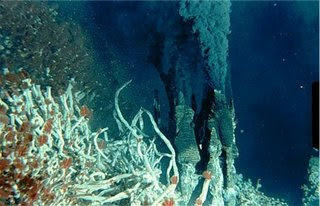 Deep Sea vents or deep sea hydrothermal vents are geysers that form along with mid ocean ridges. These are just cracks in the ocean bottom in to which ocean water gushes in to be ejected out along with various minerals available with the magma. These vents are places where the magma of the earth’s core gets some exit points. Click here to read the full article.